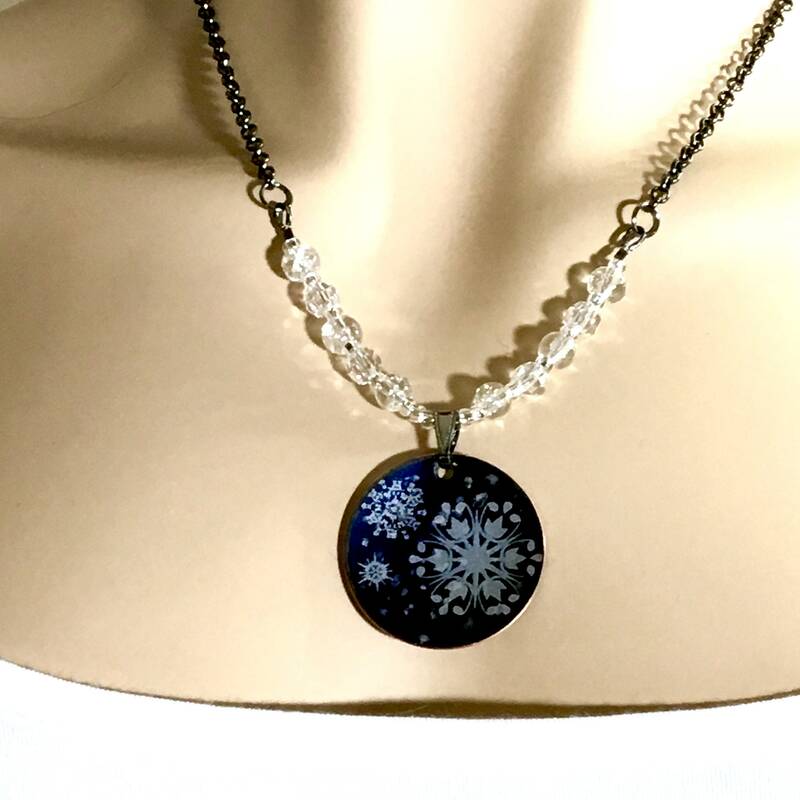 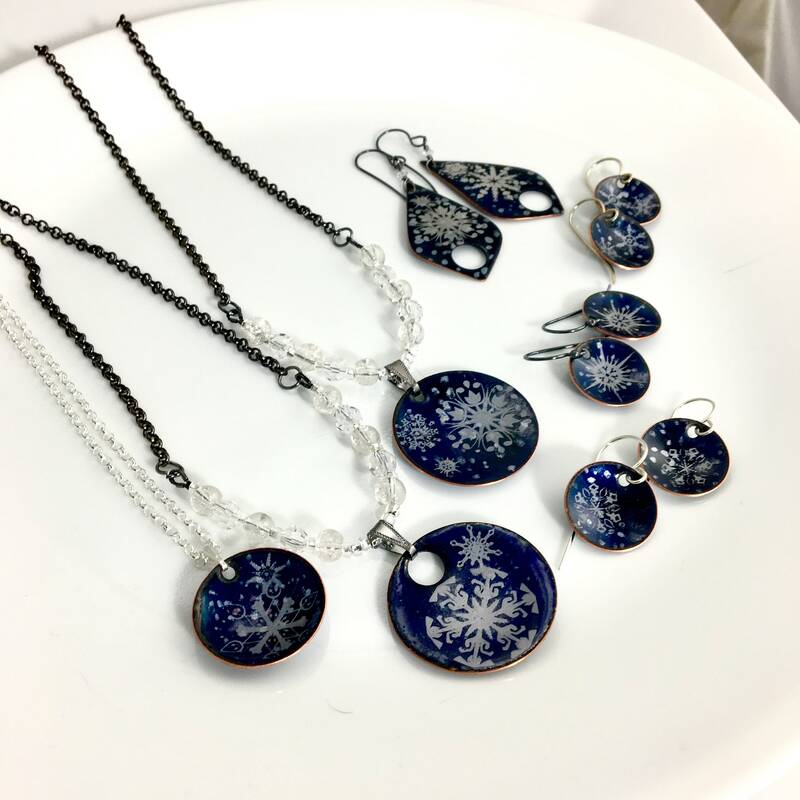 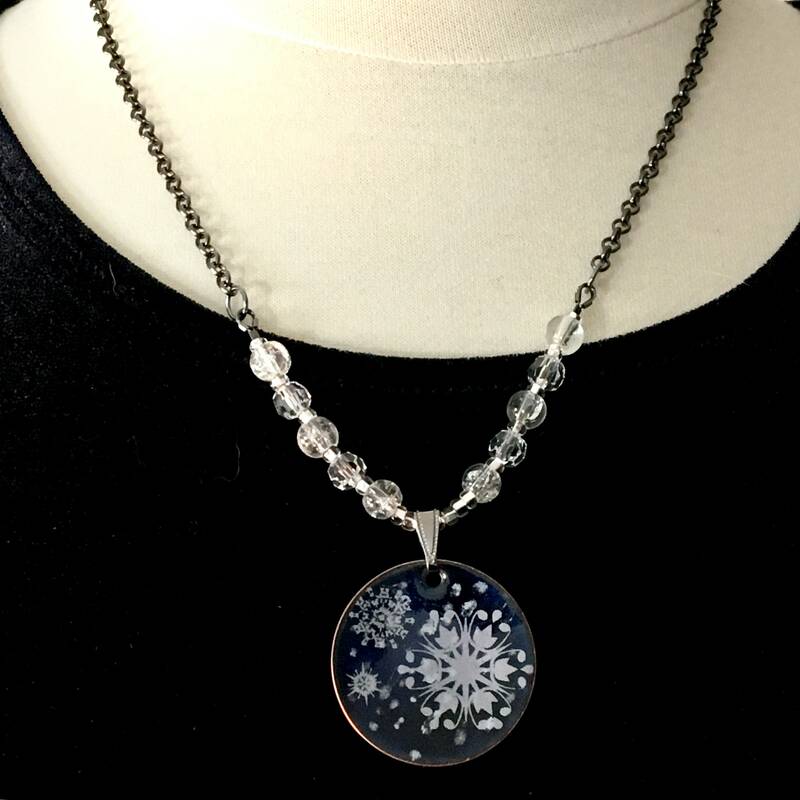 Silver snowflakes on deep blue transparent enameled copper shapes, these pendants celebrate snowfall with a winter theme. Two slight variations, select at check out. 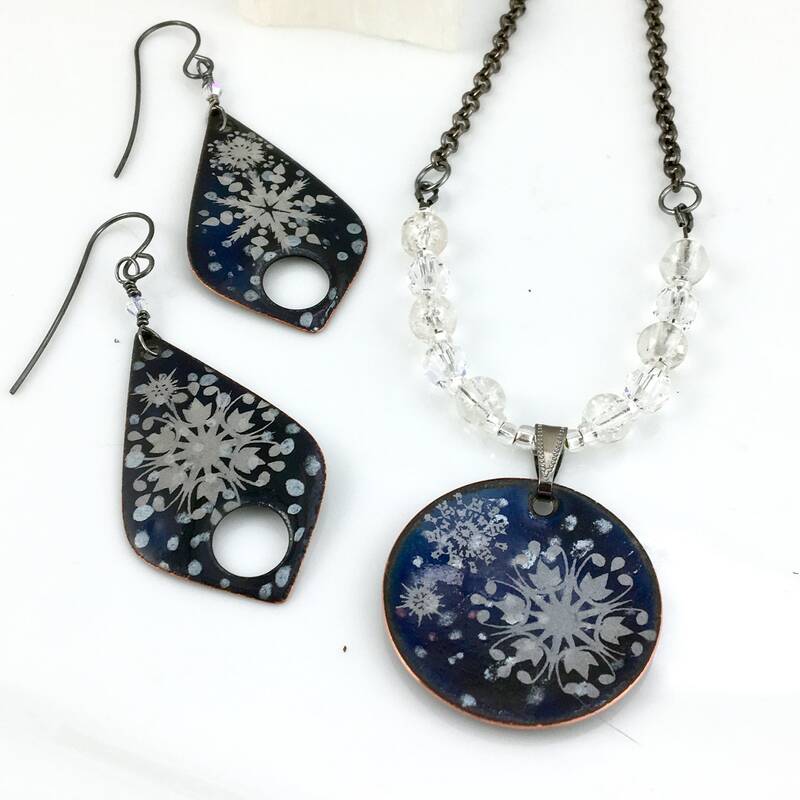 Domed copper shapes are repeatedly coated with fine glass particles that are bonded to copper under high heat in a kiln. 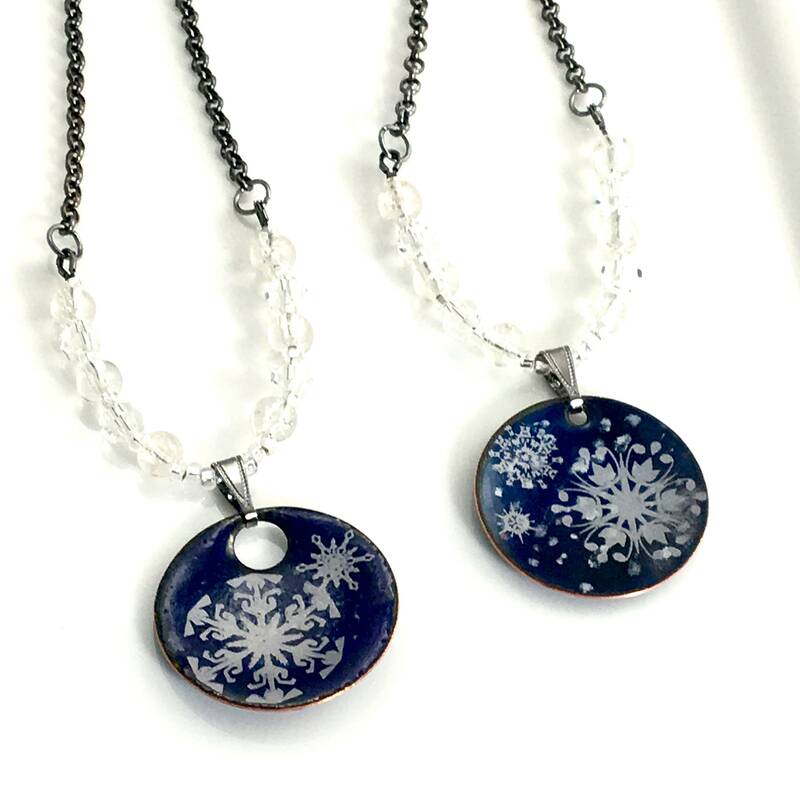 Vitreous enamels are permanent, durable, fade proof, & waterproof. 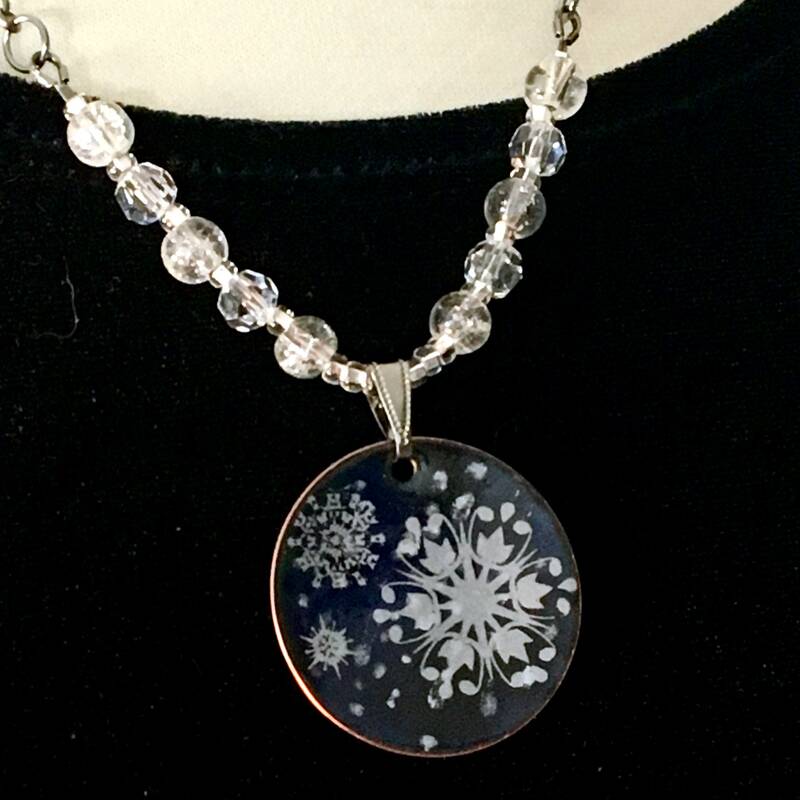 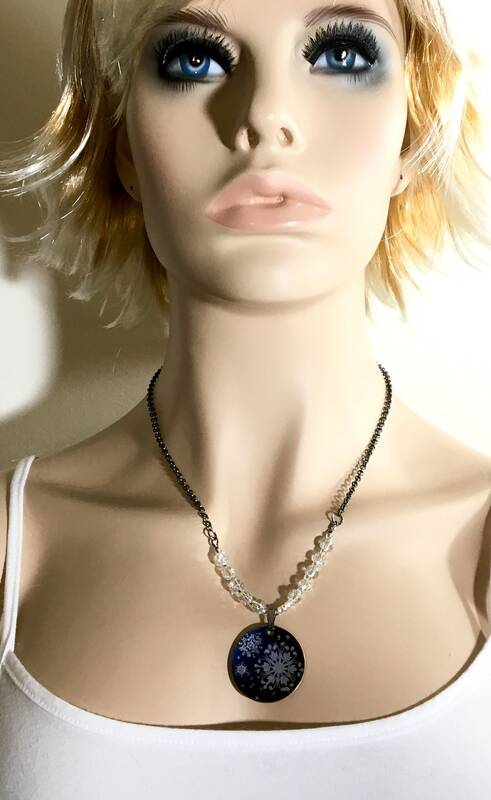 Color and glossy surfaces are glass bonded to copper through multiple firings to between 1450 and 1500 degrees F. The front & back of each component feature my transparent dark blue enamel with silvery snowflake details. 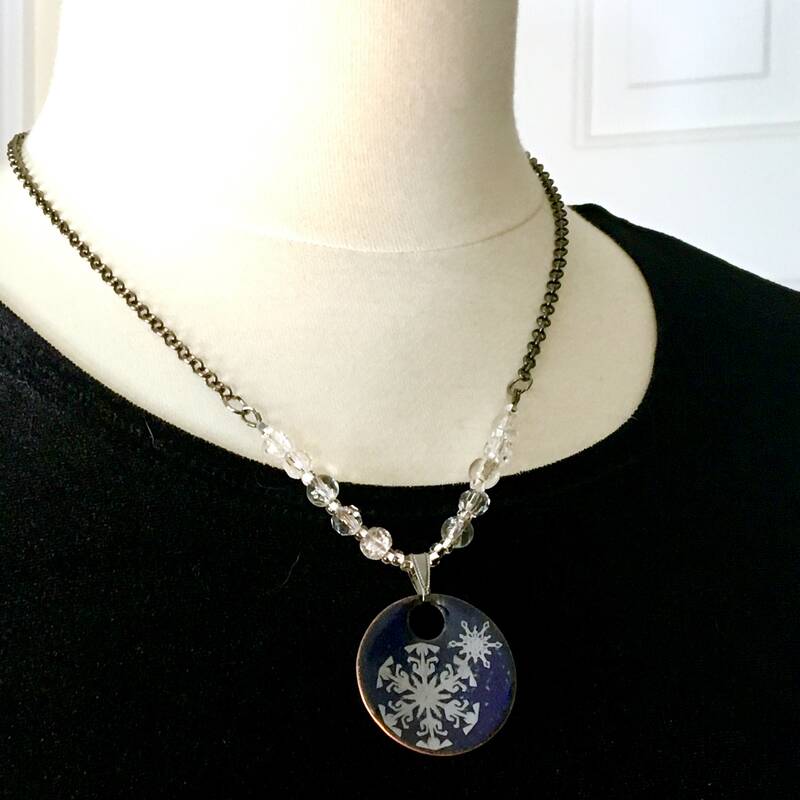 My design is meant to evoke that magical time when snowflakes are falling. 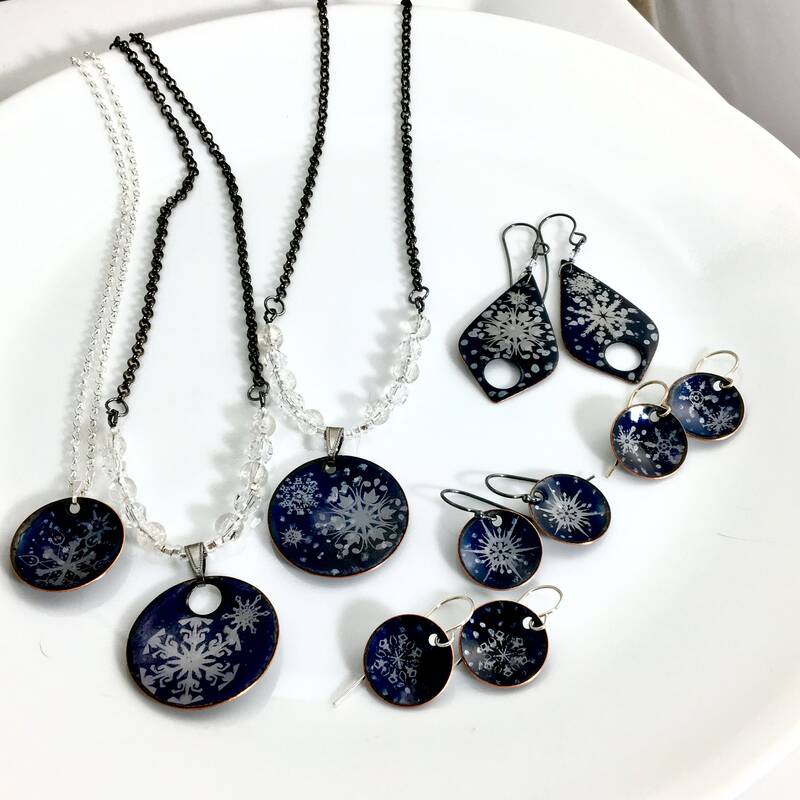 They are my original design, handmade one by one with natural variations, but each is similar to the designs in my photos.